GAITHERSBURG, Md., November 15, 2018 /3BL Media/ — Sodexo, a food services and facilities management company committed to Quality of Life, announced today its participation in the 2018 HACR Corporate Inclusion Index (HACR CII), a research initiative conducted by the Hispanic Association on Corporate Responsibility (HACR) and the HACR Research Institute, aimed at measuring Hispanic inclusion in Corporate America. “The HACR CII survey focuses on the areas of Employment, Procurement, Philanthropy, and Governance,” said Rohini Anand, PhD, SVP, Corporate Responsibility & Global Chief Diversity Officer, Sodexo. 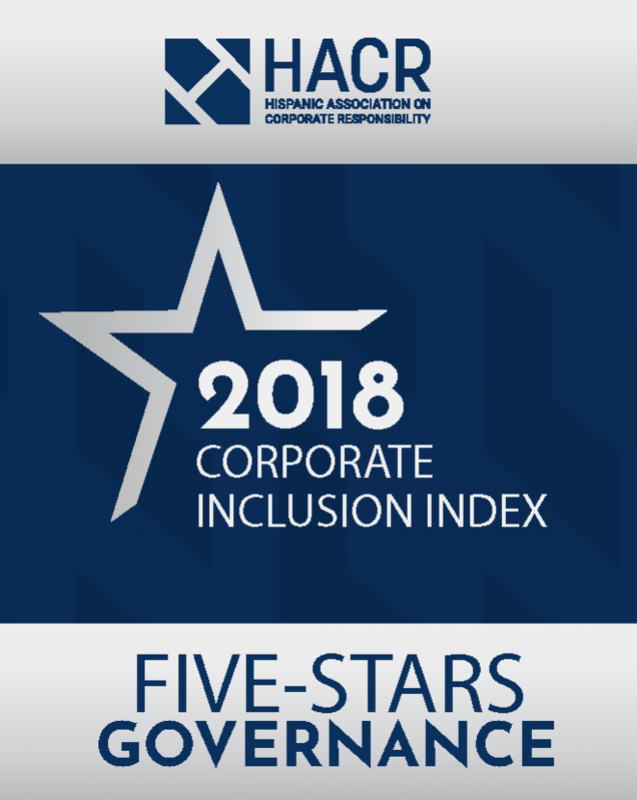 “Ensuring that diversity and inclusion is integrated into how we drive progress in all of these areas, particularly within the Hispanic community, is key to our annual participation in the HACR Corporate Inclusion Index”. As part of Sodexo’s commitment to diversity and inclusion, Sodexo is also proud to support the professional and organizational growth of Hispanic employees through the company’s employee business resource group SOL, the Sodexo Organization of Latinos. Most recently Sodexo was recognized by Hispanic Network Magazine as a 2018 Top Employer, Top Diversity Employer, Top Disability Friendly Company, and Top LGBT-Friendly Company. The HACR CII survey focuses on the areas of Employment, Procurement, Philanthropy, and Governance. The survey helps to identify opportunities to help companies frame strategic plans to assist in keeping up with the demands of a diverse, ever-changing world.